Retreat Day 3 - Still the only guests at the resort. Worked on web dev projects and had food, beers, and white russians delivered to us in the pool. 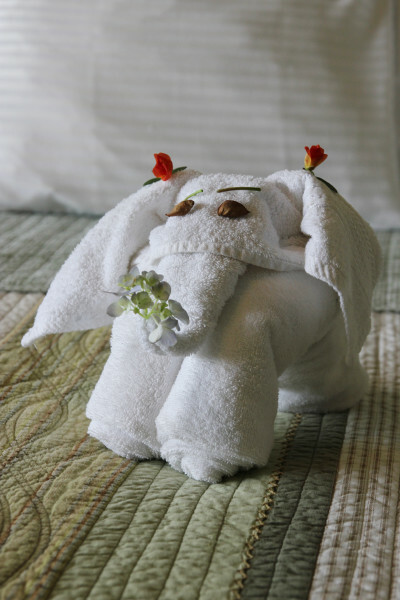 You know you're in a swank place when they fold your towels into animal shapes on your bed.